The costs of generating renewable energy is decreasing rapidly, making these systems more affordable. While parity with grid generation is still some years off, current trends suggest that solar will soon be the cheapest form of energy available. That’s the finding from recent research by the German research firm Agora Energiewende, which has forecast the future price of power generated by grid-scale solar power plants. In order to understand how the solar power industry is developing, researchers looked at the forecast cost of producing solar power, particularly in hotter climates. The study found that the cost per kilowatt hour of power produced is going to continue dropping over coming decades. Currently, effective solar panel installations can achieve a cost of between five and nine cents per kilowatt hour, based on location. In the future, this will drop even further, reaching between four and six cents by 2025 and two and four cents by 2050. This represents a 1/3 reduction compared to current prices by 2025, and a 2/3 reduction by 2050. The research also compared this finding to nuclear power, which is currently far more expensive, coming in at 11 cents per kilowatt hour. While solar power is clearly becoming an attractive option, the research did go on to highlight the difference in cost structure that comes from solar, vs traditional energy sources. Unlike fossil fuels, solar has a much higher initial installation rate, but also has near zero ongoing running costs. While the cost of generating power through solar is expected to continue reaching new lows, this is expected to put pressure on manufacturers, with solar panel manufacturers likely to see demand outstrip production in coming years. That’s the finding from Frost & Sullivan, which has recently released data on the development of solar power across the Asia-Pacific (APAC) region. The study suggested that continued high demand for these systems will place greater pressure on suppliers later in 2015. According to the company’s research, this will represent the first time in six years that demand has overtaken supply in APAC, highlighting the significant growth in new solar photovoltaic projects. While the Pacific region is going to see high demand, manufacturers are expected to respond with new innovative products in order to meet the needs of consumers. While these developments in the solar panel industry are among the the most important affecting power generation in APAC, there are also further developments shaping this sector. Frost & Sullivan pointed to the growing demand in LNG power generation in Asia as having a major impact on the demand on exporting countries like Australia. With Australia continuing to invest in offshore gas extraction, the future of gas production and consumption is likely to be high in coming years. Likewise, distribution systems are continuing to evolve in the region, with grid providers looking to new practices and technologies that can shape the performance of electrical networks. Grid-scale energy storage in particular was cited as an area that companies are going to invest in as a way to build smarter, more responsive networks. Australia in particular was cited as an area where these developments are catching on, while Japan, South Korea and China were all also mentioned as areas where grid modernisation is seeing greater investment. In Australia, projects to implement greater renewable technology have already caught on. 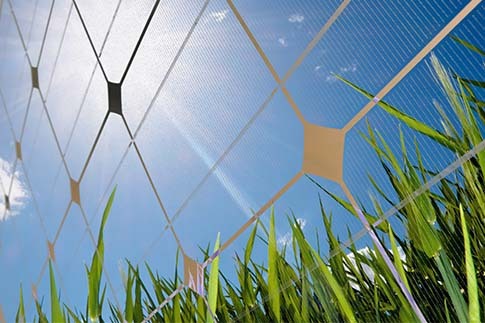 Developments like the new grid-scale solar plus battery storage development at the University of Queensland is just one example of how new grid-connected technology is growing in value across Australia. For more on how grid-scale electrical developments can help organisations achieve greater energy efficiency, make sure to contact the industry experts at MPower.